I wanted to try making a logo wall. I was originally going to use the original logo color against a brick wall texture since graffiti is usually on walls XD but it didn't look right. The bricks looked too real and when I made it into a cutout it looked fine but somehow it still didn't look right. Nothing much done here but it did take me a while to figure out what texture I should use and I finally settled for a paper texture. 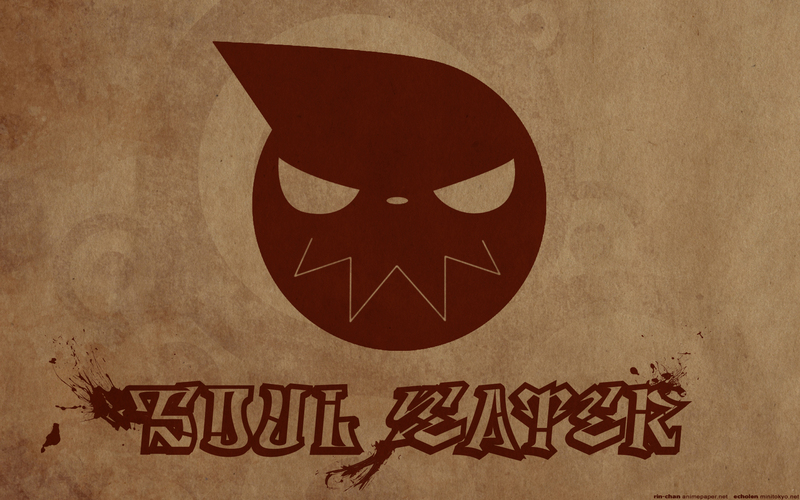 And I really like graffiti so I chose that for the font since that's what I was originally going for. Might just be the logo and the title, but the style that it's made in makes it look really nice. i really like the soul eater symbol! wow. a cool and plain soul. thanks. simles mais legal! legal mesmo!